Ms. McGlashen joined Arel Capital in 2016. She is a responsible for overseeing asset management activities across Arel’s portfolio. She is a multi-family real estate professional with more than 35 years of experience. 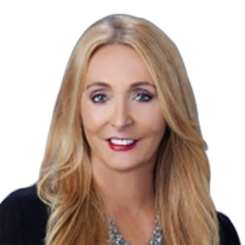 Prior to joining Arel, Ms. McGlashen served as President of Allied Orion Group since 2015 where she was responsible for overseeing operations, client relations and new business development. Allied Orion Group is one of the largest third-party management companies in Texas and one of the top 50 in the country, with more than 27,000 units under management, and operations in Texas, Louisiana, Alabama, Florida, Colorado, Indiana and Georgia. From 2003-2015, McGlashen moved up the ranks at Allied Orion Group starting as a Regional Supervisor, then advancing to Regional Vice President and then Vice President of Property Management. McGlashen currently serves on the Board of Directors for the National Multifamily Housing Council.